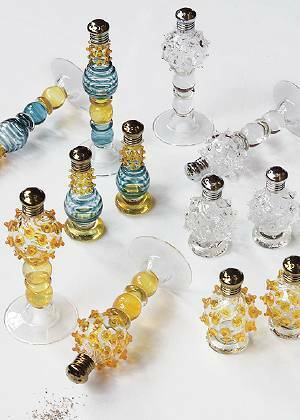 All hand-blown and handmade, here is an all made-in-America collection of glass salt and pepper shakers for the breakfast table, the dining table and the picnic table. These make splendid, unusual gifts. The clear shakers are favorites for wedding and anniversary presents, and add sparkle to a holiday table setting. 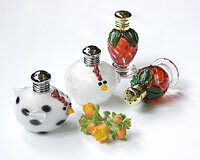 Choose from glass hens, strawberries, snowballs, pedestals, and swirls. Tops are made of non-corrosive chrome or 14k gold plate.